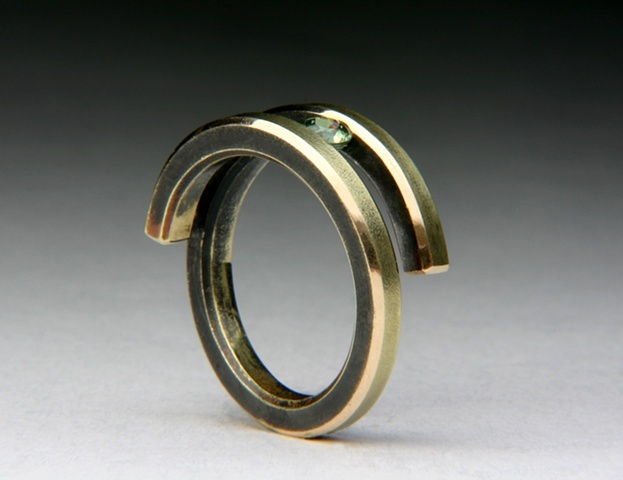 Bi-Pass Coil 14 karat yellow Gold Ring tension set with a Demantoid Garnet. The gold has been fire oxidized. The parts of the ring that rub on clothing, etc. will change with wear. Ring size: 7 1/2 convo me about sizing this ring has sizing limitations & fees for sizing.